There are many colleges/universities out there trying to improve food and health on campus. 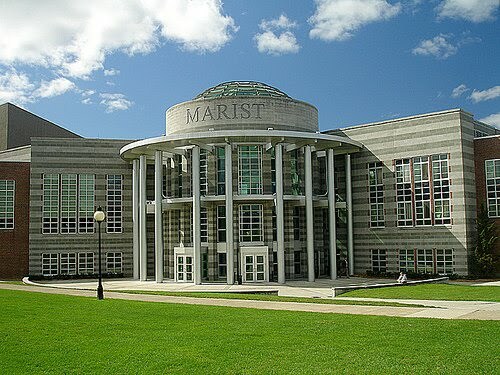 I don't know how, but it had slipped under my radar that my alma mater, Marist College, was doing a little something too. 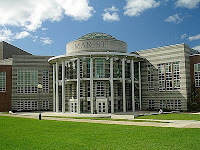 Last year Marist hosted a farmer's market on the campus green featuring vendors from local farms. The market came about thanks to students in a communications capping class with support from the Student Government Assoc. GREEN committee. It was all in an effort to promote the slow food movement and locally grown foods, to support regional farmers and small businesses and to present ways to lead a more sustainable lifestyle. It looks like they plan to do it again. Way to go Red Foxes!